On loan from the Griffis Sculpture Park, “Flat Man” has been installed at the Buffalo Outer Harbor. 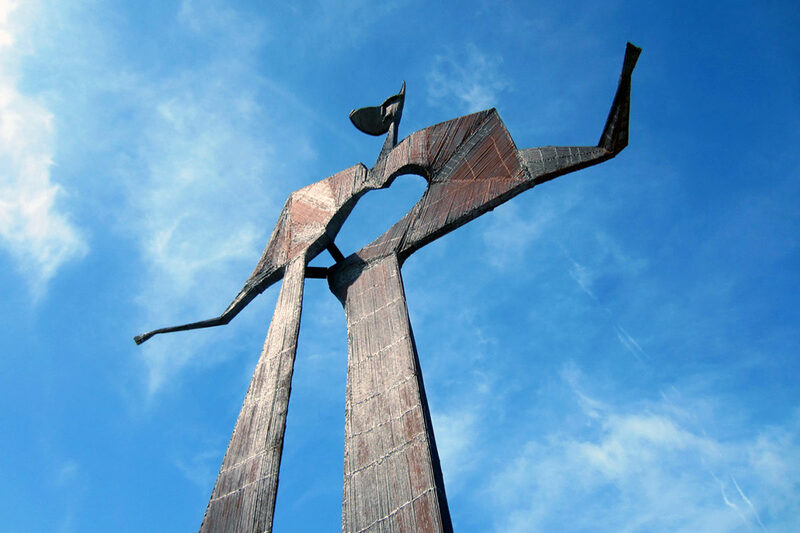 The 30’ foot tall sculpture underwent restoration after spending the last 50 years at Griffis Sculpture Park in East Otto, New York. Erie Canal Harbor Development Corporation partnered to bring the restored sculpture to Buffalo. The new waterfront beacon stands sentinel over the Bell Slip, and is an early first phase to the Outer Harbor bike park and event space TWMLA is currently designing.